One of the greatest Christmas gifts anyone could give to us New Englanders is the return of the legendary Enchanted Village Christmas Display at Jordan’s Furniture in Avon MA. The 2018 Enchanted Village starts on Nov. 17 and runs through Jan. 1, 2019. But wait, that’s not all: The legendary Jordan Marsh blueberry muffins go on sale, Nov 13, according to the Jordan’s Furniture web site. Once a local household name holiday tradition at the former Jordan Marsh Department Store at Downtown Crossing in Boston, Mass., the Enchanted Village pieces were, thankfully, rescued from the auction block in 2009 by Jordan’s Furniture. 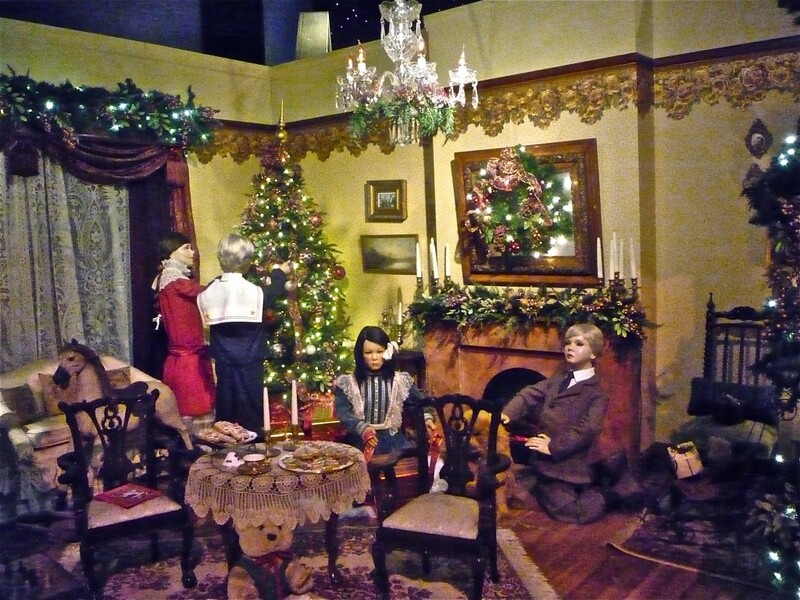 The move was a smart one — the usual mode for Jordan’s — by bringing back such an important part of New England Christmas tradition for older and newer generations of New Englanders and vacationers to enjoy. The Enchanted Village is back in full form at Jordan’s in Avon with 8,000 square ft. of yuletide scenes and animated figurines. It has a larger than life presence and is big on charm — originally crafted in the 1930s by a Bavarian toy maker! The entire display is in great condition, updated and enhanced from back in the day. Also, Enchanted Village offers an indoor skating rink that further brings one into a New England winter state of mind. We hope you can visit this special place now through the Christmas season! Good things some to those who wait, and that’s certainly the case with The Enchanted Village which, until 2009, had been non-existent since 2006. The display had previously moved from Jordan Marsh to Macy’s to the City of Boston — and then finally being put up for auction in 2009. Thank-you, Jordan’s, for this wonderful Christmas gift. It feels like the magic of Christmas in New England just became that much stronger with this revered wonderland of Christmas village joy! Oh, and one more thing — this is a free attraction! The Enchanted Village at Jordan’s Furniture is located at 100 Stockwell Drive in Avon MA. Log onto the Enchanted Village web page for more info, including hours. If you liked this article on Enchanted Village, please share the graphic below on Pinterest. Thanks!